Whilst we British love the hot weather, we all know that we get over excited about the lovely sunshine because it doesn’t come around that often. Here are some tips on how to stay cool and enjoy the sunshine to the max without causing harm. Read what Director of AdventureYogi Michelle King recommends. The most important thing is to stay hydrated. We all know this but our winter diets can sometimes prevail as they become a habit. Like drinking caffeine and alcohol. These are dehydrating drinks that can contribute to lethargy in the sunshine. 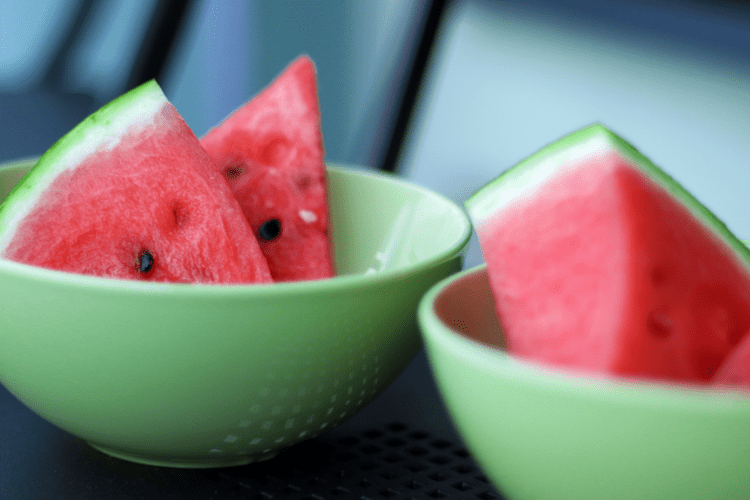 Instead of reaching for that cup of tea or coffee, try replacing it with a cooling juice, like Strawberry and watermelon, or cucumber and mint. Juices with a high water content. 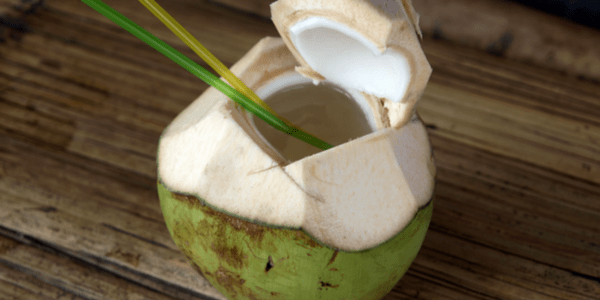 Try out the delicious coconut water that is readily available these days, with the correct amount of electrolytes to help keep energy levels and hydration levels up. Or why not develop a love of drinking bottled water. A handy tip, buy a 2-litre bottle of water and make sure you drink it all up by the day’s end. This keeps hydration up and also helps quell one’s appetite! Signs of high Pitta in the body: Skin rashes, acne, premature greying/balding, heartburn, acid stomach, diarrhoea. Signs of high Pitta in the mind: Irritability (particularly after being exposed to heat or Pitta-provoking circumstances), competitiveness, egoism, envy, quick-to-anger. If you find yourself being overly annoyed with carrying heavy bags in the heat or overly checking out other’s on their yoga mats, then try these pointers below to help keep your cool. Modify your yoga practice. Our bodies naturally adapt themselves to the changes in our environment and in summer our internal body systems re-balance to support the changes in temperature, day length and climate. Help to support your body a bit more and add a few tweaks to your yoga practice to connect more intimately with the summer season. Try nourishing the nervous system. Allow yourself to slow down. Enjoy slower sun salutations, try walking instead of jumping the feet together. Twist out the toxins to energise and flush out waste quicker from the body. Try legs up the wall, or shoulder stand, massaging the thyroid gland and the hormonal system. Take longer savasanas. It’s time to shift the winter/spring diet of heavy foods that create a sluggish system. Summer is a time for lighter meals. Enjoy salads and fruits and vegetables, especially those with a high water content such as melons, cucumber, leafy greens. If you enjoy raw foods but your constitution doesn’t, now is a better time to enjoy this style of eating, but make sure you eat some gently cooked/steamed foods alongside to compliment your body type. Enjoy using cooling herbs and spices, like mint, fennel, cumin and coriander. 5: Take time out. Slow down. Relax. 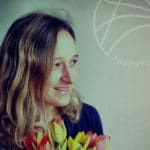 – Shitali Pranayama: This technique is done by curling the sides of your tongue towards one another and sticking your tongue out through your lips. Inhale through your rolled tongue and exhale out through the nose. Repeat 5-20 times. If you have difficulty curling your tongue, try making a doughnut shape with your lips instead; inhale through the lips, exhale through the nose. – Single-Nostril Breathing: This technique isolates one nostril. For the summer months, we are targeting the left nostril, which is called the Ida Nadi (“subtle channel”), which is the body’s cooling channel and is located on the lunar side of the body. Plug the right side of the nostril and breathe in and out through the left nostril for 5-20 breaths. Cool down your internal thermometer. They really work. See how much cooler you feel. In winter we tend to hide away, the nights being shorter, colder and it is a time for hibernation. In summer, make the most of being outside and making time for friends and family. Wherever you live, take time out for BBQ’s, gatherings, park dates, beach dates, canal dates. 8: Don’t forget the suncream! Lastly, don’t forget your sun cream. In the UK we get all too excited about the sun as we don’t see it that often but it is still strong once it is out. Use suncream to protect, even if you already have a good tan. If you don’t like the chemical sun creams, then try out Green people sun cream. I use this and it works for me. Enjoy reading these tips, try it all out and let me know how it goes. Watermelon juice anyone? !